Yet the little boy did grow up and it is the grown-up little boy who is writing now. Though Christopher Milne spent much of his life attempting to distance himself from his fictional counterpart Christopher Robin, in 1974 the fifty-four-year-old son of A. A. Milne published this lyrical account of his idyllic childhood and his complex relationship with his father. When Christopher was five, his family purchased Cotchford Farm in east Sussex, where the introverted boy, his teddy bear, and his beloved nanny would explore the real locales that inspired Galleon's Lap, Poohsticks Bridge, and the Hundred Acre Wood. With quiet humor and endearing honesty, Milne presents a delightful portrait of a happy childhood, even as he laments the trials of unwanted fame and the impossibility of living up to an idealized version of himself. 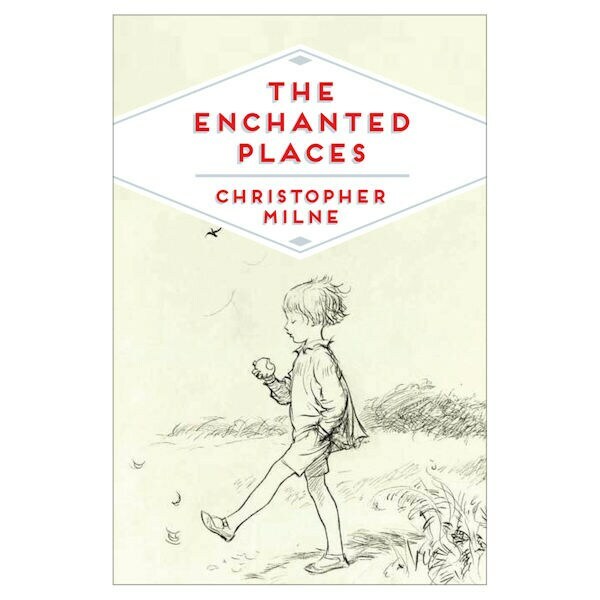 Even if you haven't spent time with the Bear of Very Little Brain in decades, The Enchanted Places is a lovely, thought-provoking read that offers fascinating insight into the classic children's tales.